Staying connected is vital in today’s society. These days, it seems like everyone has a smartphone, tablet or other connected device. Whether you use your phone’s data functions for email, GPS tracking or social media, having a Wi-Fi connection is great way to stay connected and keep your mobile data usage to a minimum. A few years ago, it seems like the only “hot spots” — businesses providing wireless Internet — were coffee shops. But now, Wi-Fi is popping up in dentist offices, tire shops, hotels, restaurants and a host of other businesses. 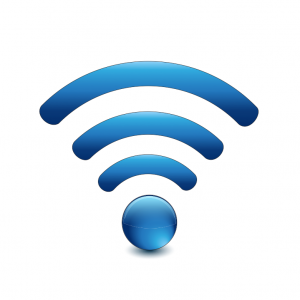 Wi-Fi is an Internet service which allows multiple devices to work on a single connection, without actually being physically connected to a modem with wires. And anywhere customers are waiting, people are often using their mobile devices to make those wait times seem shorter. Providing Wi-Fi makes it easier for some customers to spend more time at your business and often increases customer satisfaction. One survey conducted by Bredin Research shows significant improvement in sales, traffic and satisfaction when a business offers Wi-Fi. According to the survey, some business owners say Wi-Fi has become as big of an attraction in a lobby or waiting room as magazines, community bulletin boards, candy or water. Of those surveyed who already provide Wi-Fi, 79 percent say it helps keep customers happy while they are waiting. More than half of surveyed businesses that provide Wi-Fi say customers spend more money during their visit because of wireless Internet. Also in the survey, more than half of the business owners believe Wi-Fi brings in new customers and encourages repeat business. In turn, if customers have great experiences at your business and have access to the Internet, they are more likely to promote your business through their social media channels. People notice where others “check-in” on Facebook or where they leave positive reviews. Beyond the customers, the survey also indicates that more than 90 percent of businesses see employee productivity benefits when a they use a wireless network. Respondents specifically mentioned employees using Wi-Fi to track inventory and hold online conferences. If you’re interested in Wi-Fi for your business, don’t overlook the need for a high-speed connection to keep everyone’s data running smoothly. Broadband Internet speeds are essential to ensure that everyone connected can have the best possible experience using your Wi-Fi. Consider turning your business into a Wi-Fi hot spot and start seeing happier customers and an increase in revenue. In the end, it’s a small investment with the potential for much larger returns.